So you want to take a break from the student section and cheer on the pros, but MLB, NFL, and NBA tickets are so pricey. Well, not always—you’ll find great deals for the following teams and stadiums! The trope of the starving college student may not be entirely accurate, but it can come close to the reality of campus life. Between tuition, books, groceries, college apparel, and fun, budgets can get a little tight. Most colleges offer something in the way of free entertainment on campus throughout the year, from homecoming concerts to college sporting events. But for those who want to head off campus for, say, a pro sports game, ticket prices may seem out of reach. Luckily, some stadiums are stepping up their game when it comes to getting young people in the gates. Here are a few of the most cost-efficient (read: cheap) stadiums and teams around the country—perfect when you’re on a ramen noodle budget. The best deal for a baseball game is Angel Stadium in Anaheim, California, where you can get two adult tickets, two hot dogs, two drinks, and parking for under $50. Why is it so cheap? The stadium was originally built to hold an NFL team, so the surplus of seats combined with tons of parking make for plenty of room for fans to enjoy the game. That means cheaper tickets—less than $10 each on average—and a lot less to dish out on parking. You can save even more by carpooling or taking public transportation. In LA? You’re in luck! Dodger Stadium is another great bargain for college kids on a budget, with two tickets, dogs, drinks, and parking for $55. That could also be due to its crazy abundant seating—enough for over 56,000 baseball fans! Grabbing tickets to see the Arizona Diamondbacks at Chase Field in Phoenix will only set you back about $57 for two adult tickets, two hot dogs, two drinks, and parking. If you’re near Coors Field for a Colorado Rockies game, you can snag a deal for about $59.30 for the same amenities. They may not be the best in the league, but heading to an NFL game is all about the experience, right? The average ticket price for the Jaguars in 2016 was about $43. Hotdogs ran for $5, and parking was about $25, but fans with passes can pay a yearly fee too. If you’re into cold weather and diehard fans, head to Buffalo for a game at New Era Field. In 2016, the average price of tickets was $36 per person, with hot dogs at only $5.50. The Kansas City Chiefs, Cleveland Browns, and Cincinnati Bengals all boast ticket prices averaging $40. Parking is often cheapest when the stadiums are near city centers, which give you the chance to find cheaper parking off stadium grounds. Tickets to a Memphis Grizzlies game will set you back about $50, but by buying more via package deals, the game price can drop to nearly $20 and even lower. Pool your money with some friends for a great deal! At about $50 per ticket back in 2014, the New Orleans Pelicans continued to boast incredibly low ticket prices for the 2016–2017 season—and that’s likely to continue. Add in roughly $10–$12 for a drink and a hot dog and you’ve got a decently priced evening. The Milwaukee Bucks, Detroit Pistons, and Phoenix Suns all had tickets less than $60 per person when bought individually during the last few seasons. However, family nights and ticket packages accounted for big-time drops and deals, so college students should keep an eye out for announcements via team e-mails and social media channels. 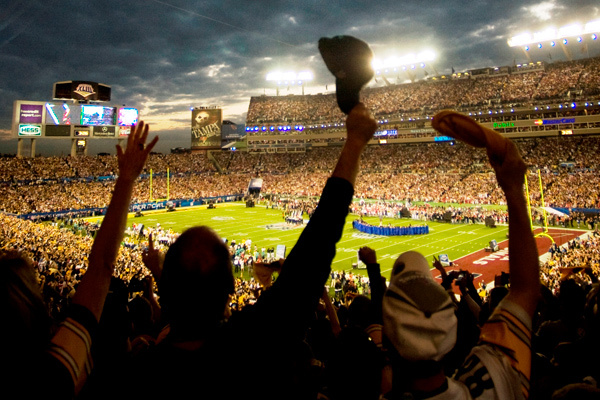 Heading out to a sporting event can be a great option even for college students on a budget. Checking social media for deals, knowing where to head for low-price tickets, and being a part of fan e-mails can ensure a great time no matter how much you have in your wallet.